Fortunately, he was treated quickly and has gone on to make a good recovery. Nicola, from Walsall, tells their story here. “The day before my son Jorge, aged 9.5 months, was admitted to hospital he was off his food at teatime. I tried all his favourites but he just didn’t want to eat. He had no other symptoms." “The next morning, Thursday 18 April 2013, he was still not wanting to eat. He was not himself, his temperature was slightly high at 37 and then over the next hour or so it crept up to 38.2. He didn’t want to be picked up, he didn’t want to be put down he was just not his usual happy self!" “My friend had popped in for a rare visit. She didn’t say at the time, but she had lost a very young family member many years ago to meningitis. I contacted the doctors to try and get an appointment for Jorge, and fortunately they gave me an appointment at the end of surgery at 11.40am. It was around 10.00 at this time." “Jorge began making a sort of grunting noise. I took him to the doctors slightly earlier and was seen after the end of surgery. At this point his temperature was 40 and he vomited a large amount in the consultation room. The doctor was quite concerned. He had checked all obs, contacted the paediatric unit so that we wouldn’t have to wait in A&E and also called 999." 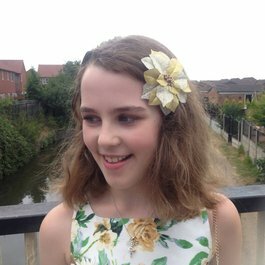 “The ambulance attended fairly quickly and while in the ambulance the paramedic actually said to me, "You have to be careful of meningitis don’t you". Being quite uneducated on it and thinking it was more of a winter illness I said, "Oh, is it about this time of year?" He said, "It’s always about"." “Upon arrival at the paediatric unit there was quite a long wait to be seen. We sat in a waiting area and were called in a few times over the next few hours to have his obs taken. At one point he was quite unresponsive and my mom and myself saw the nurse squeeze his thumb fairly hard to get a response. He did respond to this." “We were transferred to an assessment ward with a bed, where we attempted to get a urine sample to test for infection. Eventually we managed to get a small amount, which came back clear. He was sent for a chest X-ray around 7pm, which also came back clear. At this point Jorge was quite alert and didn’t seem to be that ill."
“Later in the evening the doctor was back on the ward assessing patients to see if any could go home. There was another slightly older boy there with the same symptoms as Jorge, sickness and temperature, and he was sent home. But when the doctor came to see Jorge he said he didn’t want to send him home as he couldn’t say what was wrong with him." “We were transferred to a room on the paediatric ward and told we were staying in overnight for observations. I popped home, leaving Jorge with his dad Jason, to get a few things packed, and when I went back they were inserting a catheter into his hand. It was heartbreaking to see. He didn’t even move, and they really struggled to insert it. They started him on medication, which I didn’t know at the time was an antiviral (Aciclovir I think) and also antibiotics for meningitis." “He cried for the whole time the antiviral was going through each time, which was quite a while. The nurse said that medication did sting while going through intravenously. The following morning doctors and nurses came in and told me Jorge would be having a lumbar puncture test carried out. I called his dad back up to the hospital, as he hadn’t long gone home, so that he could go with Jorge for the procedure. I couldn’t face seeing him being in so much pain." “The test was carried out that morning and his dad said the doctor commented the fluid looked quite clear, so they didn’t think it was meningitis as it tends to have a yellowish colour to it. Jorge continued with the treatment for meningitis." 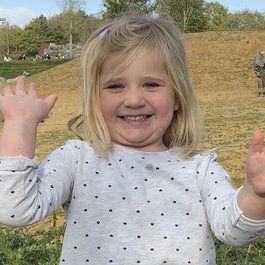 “Later that day, feeling a little better about having had the lumbar puncture done, I left Jorge with his dad and came to meet our older son Reece off the coach, as he had been on a school trip for the week. While I was waiting for the coach Jorge’s dad called and said, "Can you come back up, the results are back and they now believe Jorge to have meningitis"." “I was devastated to hear this. I went straight back up to the hospital to them. Over the next week Jorge’s cannula kept coming out, he had a different one inserted every day for a week, in his hands and in his feet. It was so difficult they even suggested shaving his head and inserting one in that area to get the medication in. Thankfully after numerous attempts they managed to get one into his foot again." 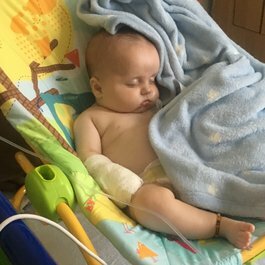 “Every time Jorge had a cannula inserted I asked his dad to go with him – not only was it heartbreaking to see but I thought that after experiencing the pain of it being done he could return to me for cuddles knowing he wasn’t having any more needles. It’s strange how I was thinking!" “After a week of treatment Jorge was allowed home the following Thursday, with a letter stating he had episodes of both viral and bacterial meningitis and also another stating I could return with any concerns within the next 48 hours." “I did end up back up there the same afternoon as I noticed a slight rash. It turned out to be nothing but I was still panicked and constantly checking his body for a rash. When people learned about Jorge’s meningitis the first thing people said to me was did he have the rash? He didn’t have the rash, which I am very, very thankful for, but like me before Jorge became ill I presumed meningitis was a rash!" “I remember not long after I was at the doctors and saw a picture on the wall. 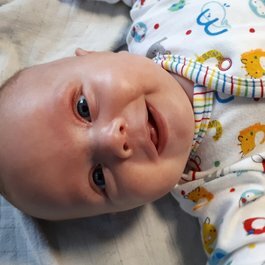 It was the picture of a baby with symptoms of meningitis written around the picture, and looking at them I was shocked to see that many of the symptoms on there Jorge had had, but I would never have thought that my son had meningitis, and not for one minute did I think he had it the morning he was taken into hospital." “I am just so thankful that my own GP, who was a locum, called ahead to the hospital and called the ambulance for us, and also that the doctor in the hospital decided to keep Jorge in that night. It could have been a different story altogether." “Today, we now have a happy, healthy, cheeky 6-going-on-16 year old, who has been left with no lasting after-effects of meningitis. We are one of the lucky ones."